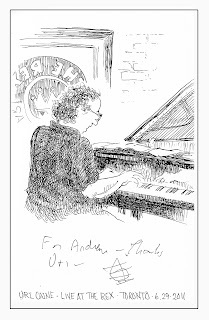 I recently saw the Uri Caine Trio at a small bar named Rex's in Toronto, ON. Awesome, awesome, awesome. 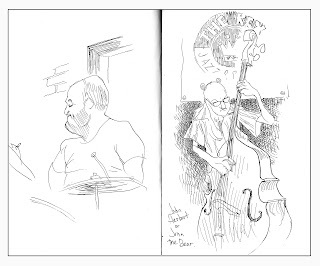 These are my drawings from that night of Uri Caine, Ben Perowsky, and John Hébert and Uri was gracious enough to sign my illustration. These are great! That is one mean cello.